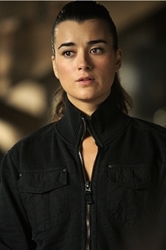 Actress Cote de Pablo has played the gorgeous Ziva David on the popular NCIS on CBS since 2005. Her luscious chocolate brown tresses with a gorgeous array of highlights and lowlights have undergone a significant transformation since she first appeared as a Israeli Mossad agent. Initially her naturally textured strands was worn pulled tightly back from her stunning face in a very buttoned down hairstyle. Over the years as Ziva slowly ingratiated herself into all the members of the team her demeanor and hairstyles became more relaxed. Instead of tightly structured strands pulled into tight ponytails or twists, Ziva started wearing her long strands cascading down around her shoulders and back. Her make-up softened and her natural beauty was showcased. Although Agent David continued to pull her hair back for some field assignments, she started to wear soft braids, looser ponytails and her hair pulled into half up and half down strands. Offscreen actress Cote de Pablo appears softer and more petite. She is also incredibly blessed with a stunning head of voluminous strands which are a combination of natural curls and waves. 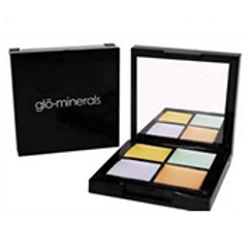 Her full bouncy hair is the perfect accessory for a crisp white dress or a long glamourous gown. When Cote straightens her strands she either wears them in a half up/half down style which showcases her widow’s peak at her forehead. She also looks equally stunning in a tousled nape level wrapped chignon twist. 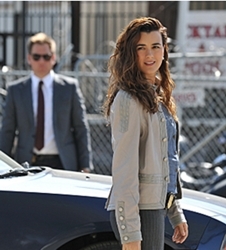 Actually with that face, hair and body can you imagine the NCIS agent every looking anything but stunning? 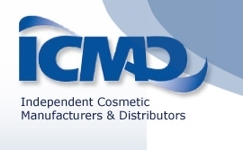 ICMAD, the Independent Cosmetic Manufacturers and Distributors will host the sixth annual Cosmetic Technical/Regulatory Forum on Thursday, February 24, 2011, at the Balboa Bay Club and Resort in Newport Beach, California. 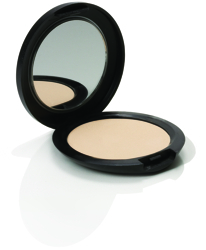 The cosmetic industry has been under considerable scrutiny this year—from questions about ingredients and claims to new legislation that could be highly detrimental to all cosmetic and personal care companies.